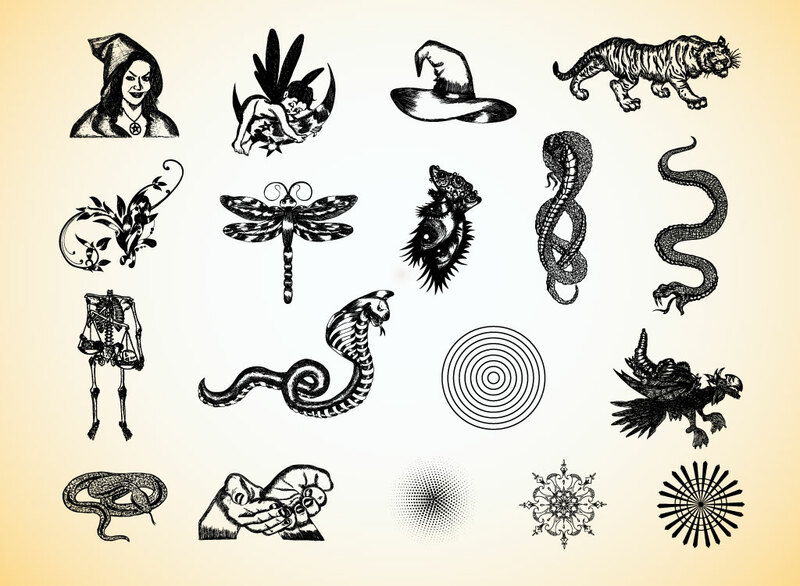 Fantasy vector pack with a mix of magical hand drawn graphics: witch's hat, tiger, snake, dragonfly, fairy, witch, open hands, cobra, headless skeleton and many more. Download this stock clip art for your cartoons, Halloween themes and tattoo flash collection. Tags: Clip Art, Design Elements, Drawings, Fantasy, Halloween, Magic, Snake, Witch.